Family and friends may think it's okay to drop by when you’re working—you’re home, right? 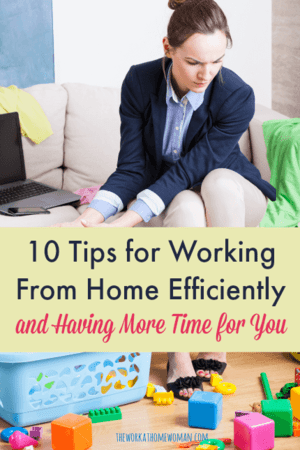 Make it clear that when you are working from home, you are still responsible for getting work done and must limit distractions. Karen Beaman is the Director of Agent Acquisition and Onboarding at LiveOps and has enjoyed the benefits of working from home for the past seven years. She is responsible for sourcing and onboarding talented, independent contractor agents to work from home and provide professional contact center services to LiveOps’ clients. Karen has held a variety of leadership roles in her 15 years of contact center experience and now leads her team in the development of cutting edge recruitment, crowdsourcing and onboarding strategies to effectively grow a large distributed workforce and improve the talent available in the cloud. For more information on LiveOps, please visit join.liveops.com. Glad you enjoyed the tips, Julia. I think people who want to work from home often overtook how brutally hard it can be to actually set boundaries with yourself! Thanks for posting this today. I needed a reminder to continue to clarify my boundaries with a few family members. It is hard … especially if you run your own business. Glad you enjoyed the tips, Lisa.